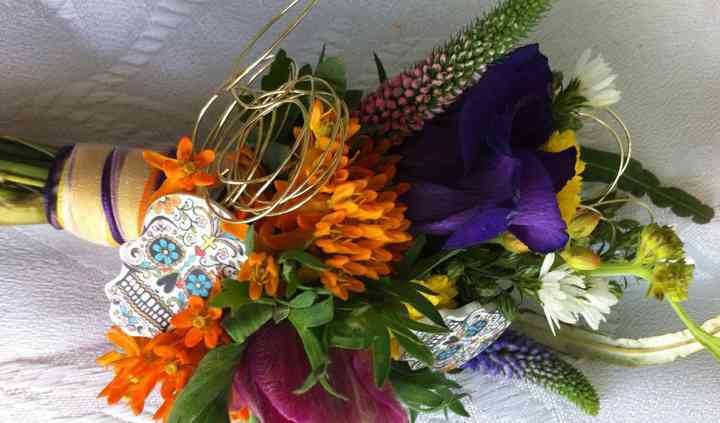 Do you design personalised bridal bouquets? What is the charge for national mailing? Do you have an advice service? Does the advice service have a surcharge? Floral Exuberance is an independent award winning business that specializes in stunning wedding and venue flowers, Chair covers and venue dresssing. They are incredibly passionate about designing floral decor that catches the eye and adds to the charming atmosphere of your important occasion. They treat every wedding as unique and are dedicated to providing high quality and attentive customer service. Owner, Emma, began this company nine years ago and is proud of her twenty years in the flower decoration industry and fifteen years of bridal designs. In her work, she combines her passion for floral arrangements and nature with ideas from the bride to create truly magnificent designs. They offer a wide range a bridal bouquet designs including one-of-a-kind creations, as well as floral ceremony, venue and car decorations. Flowers can be fresh or artificial and are personally delivered. Advice is provided about how to hold them and fix buttonholes, they will also fix buttonholes on for you on your wedding day. 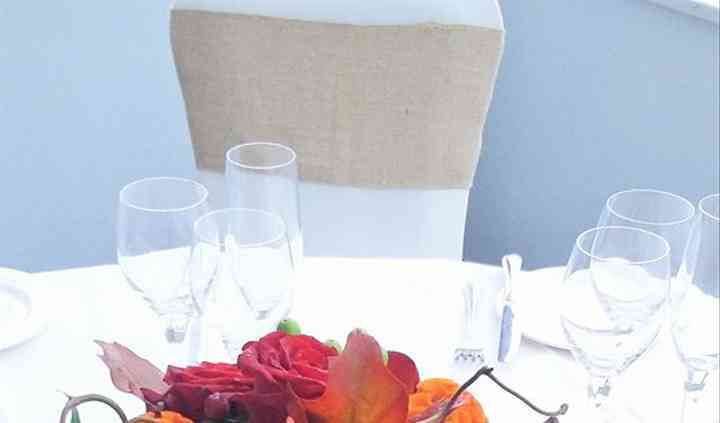 This flexible decoration company is open to offering their services for special events in a variety of places. Based in Brownhills, West Midlands, they cover a seventy-five mile radius and are open to travelling as they are based on the Staffordshire border in the West Midlands. I initially chose Floral Exuberance simply due to the artificial sunflower that I saw -I was very picky as they can look so fake sometimes and this one didn't. They were recommended to me by a friend ... Read more and I went to meet with her, Emma, with all the pictures of what I had in mind. Emma was very friendly, spent a lot of time with me, my husband, my mum and sisters, looking at the pictures, showing me what each flower and greenery was and suggesting other ideas. 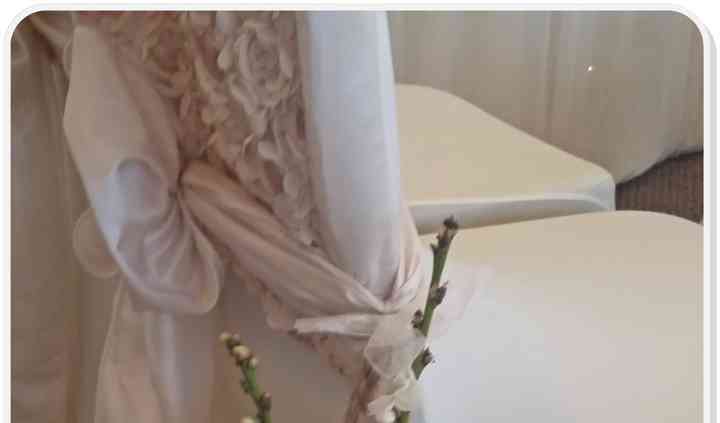 Emma did my wedding bouquet in artificial and my bridesmaids, buttonholes, corsages and table decorations in real. She delivered them in the morning, beautifully presented, labelled and with an extra button hole (just in case) and offered to decorate the venue when she dropped the table flowers. I had pictured in my head what I wanted and Emma really did bring it all to life. Lovely, personal service! Emma was always available to see me, with the shop being at her home, (yet professional) she was available when it suited me. I will definitely recommend! Emma's flowers were truly amazing. I am colour blind so Emma helped with making sure the colours matched with samples I provided. On my wedding day, Emma organised everything and made sure she gave ... Read more all the bouquets and button holes to all the relevant people. Truly amazing and I would highly recommend. I would be more than happy to recommend Floral Exuberance. Emma provided a fantastic service which was great value for money. The flowers for my wedding day were beautiful. The initial consultation ... Read more enabled me to discuss a number of options. Emma met my requirements exactly and created silk roses in a Cadbury purple theme. Having silk roses enabled me and my bridesmaids to keep our bouquets as a reminder of the day. Wonderful service provided by a wonderful lady. Nothing was too much trouble and my flowers were exactly what I wanted and more! 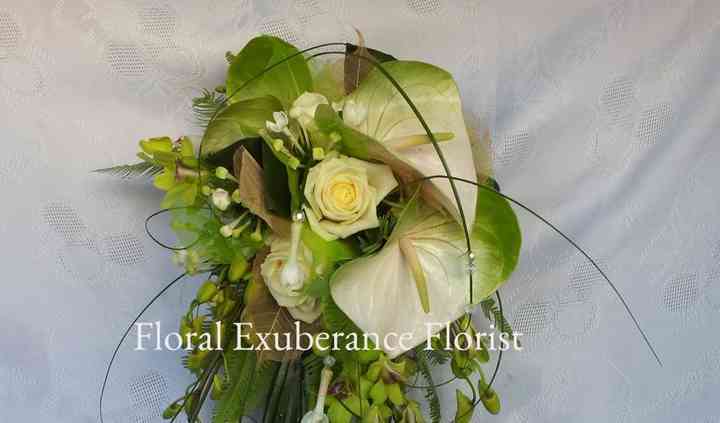 I would highly recommend to anyone wanting stunning bouquets and flower ... Read more arrangements for their wedding. Thank you, Emma! I didn't have a clue what I was looking for, what I needed... I met Floral Exuberance at a wedding fair. Everything about the service was brilliant, not pushy, really professional and, on the day, my ... Read more flowers were beautiful; everything I wanted and more. I would definitely recommend the service and I already have to my friends!